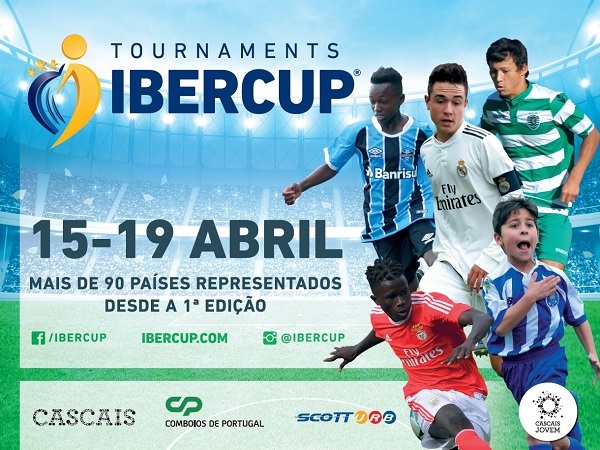 A further edition of the IberCup Cascais will take place between 15 and 18 April. Several of the games of this major youth football tournament will be played at the Centro Desportivo Nacional do Jamor (CDNJ). The IberCup Cascais 2019 will have the participation of about 3000 athletes, from 9 to 15 years, from 26 countries of the four corners of the World, all with the same dream: to be professional soccer players. IberCup is a world youth soccer tournament that has already proved to be one of the most competitive in the world, and this year has confirmed teams like Real Madrid, Juventus, Atletico Madrid, Werder Bremen, SL Benfica, FC Porto, Sporting CP, SC Braga , Vitória Guimarães, as well as many other high-level clubs from the 4 corners of the World. IberCup Cascais - much more than a Football Tournament! Record of countries represented in the edition of Cascais, with 26 Countries represented. Media Coverage: The finals will be broadcast live on SPORT TV.